One amazing tabletop device that enables audio and video conferencing, BYOD multimedia presentation, and web collaboration. Crestron Mercury™ transforms your meeting rooms into highly effective collaboration spaces. 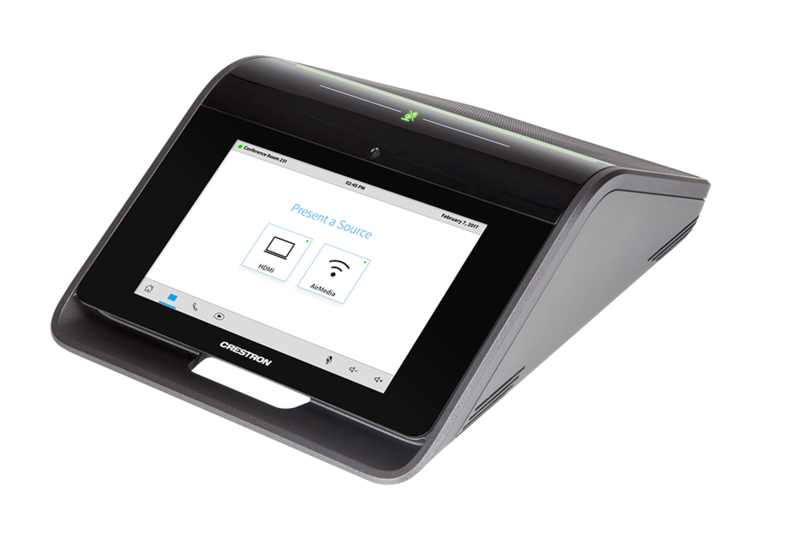 Combining all the must-have conferencing features in one easy to use device, Crestron Mercury enables people to work together and share content irrespective of location. Exceptional full-duplex audio and optional HD video afford a gratifying and productive meeting experience for all participants. Integrated room scheduling and corporate directory access help to maximize efficiency. Crestron Mercury is secure, easy to deploy, easy to manage, and protects your investment by providing room usage data as part of a complete managed enterprise. What you can do with this device? 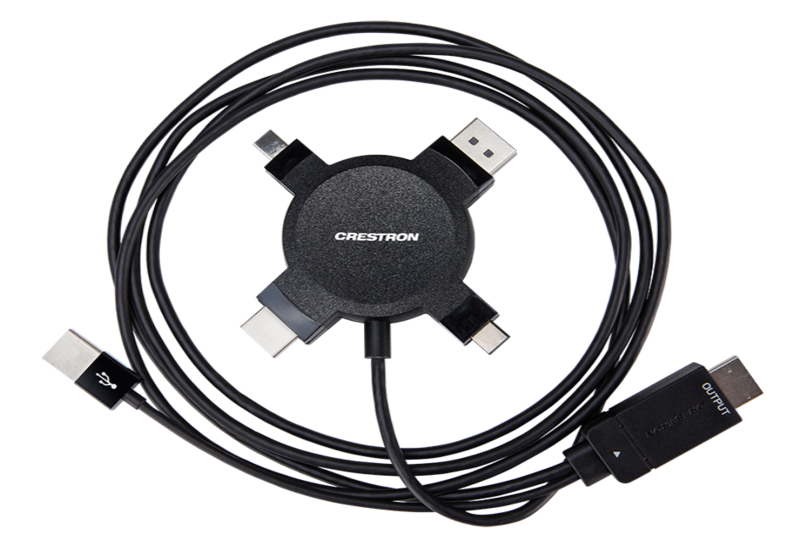 Crestron Mercury™ Multihead HD Video Cable provides an easy-to-use, multi-format HD video connectivity solution for the Crestron Mercury™ Tabletop Conference System. Includes HDMI®, DisplayPort, Mini DisplayPort, and USB Type-C™ input connections. 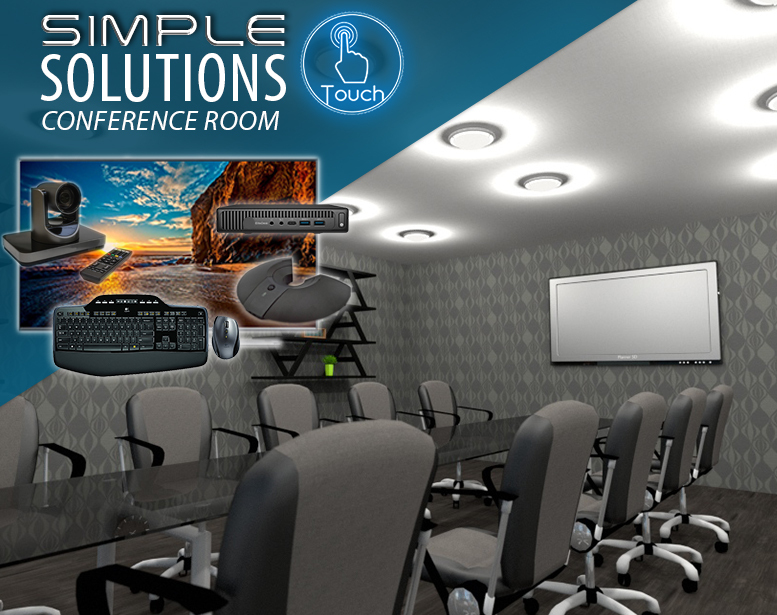 Take your meetings to the next level with our One Touch Conference Systems. These systems include expert programming along with carefully chosen hardware to exceed the performance needs of all huddle, collaboration, and conference rooms. With both custom and prepackaged options, 4TEC bundles the latest in conference equipment for a superior, yet simple and effective user experience. Each system carries a full manufacturer warranty for their brand new, top of the line products. To ensure a quick and easy installation, every system built has been pre tested and assembled to meet industry standards. 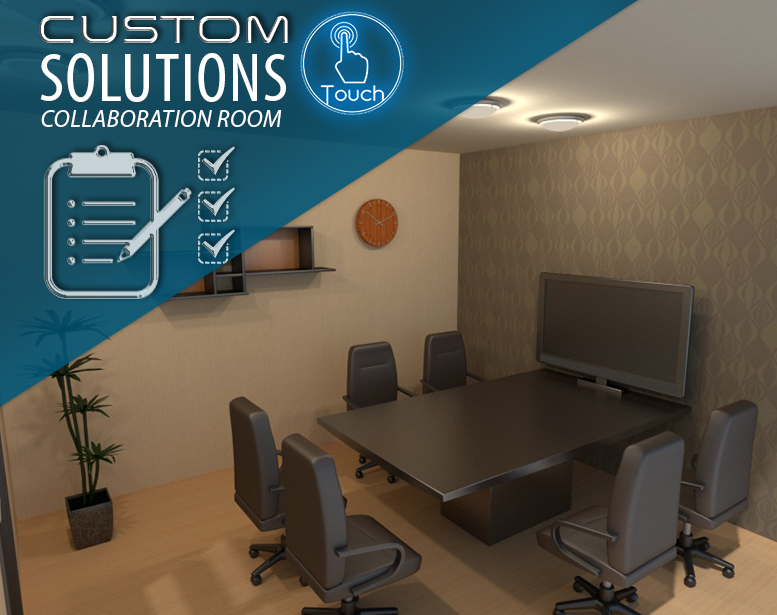 All One Touch Conference Systems include schematics and diagrams required for a simple installation process and are sent directly after online purchasing for the quickest turn around solution in the industry. A simple one click all device configuration upon setup and a navigable user interface allows you to lead your presentations easily and effectively. Take the hassle out of meetings with One Touch. Control the lighting, shades, AC, video, audio, dialing, and more with one simple button. Complete drawing for AV integration into the architect's drawings. Tested ready to ship systems, for the shortest turn-around in the industry. Staging and delivery on your dates to any city in the U.S.
Roll-outs, stacks, or individual rooms with consistent, reliable, and best of all, one touch control. Custom designs if required, that can be processed with the same manufacturing, and testing as all of our systems, with staging, onsite installation, and training. 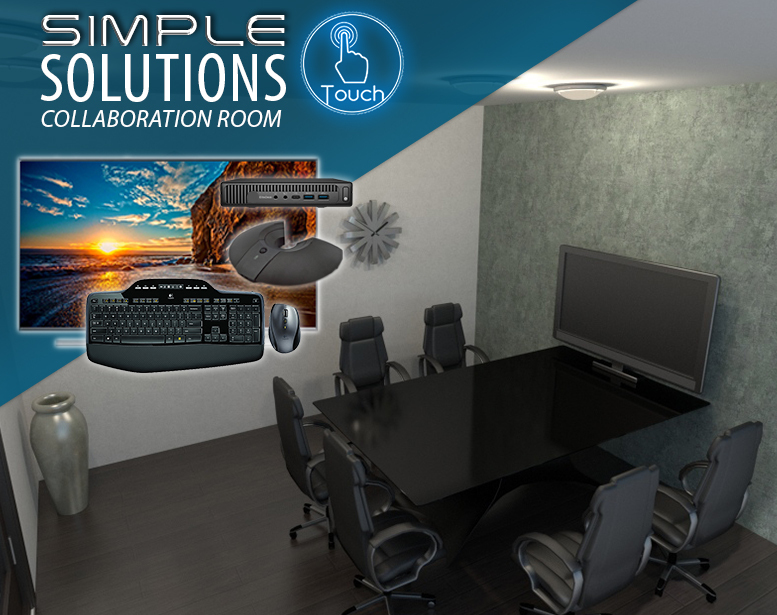 Introducing Simple Solutions, the newest edition to the One Touch Conference System line. 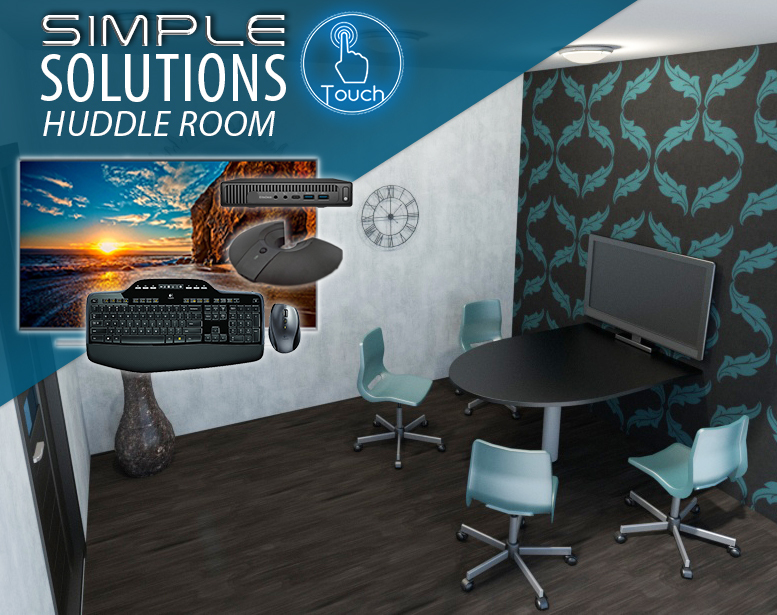 With easy installation, friendly user interface, and affordable pricing, One Touch Conference Systems are easier than ever before. These automated systems are preconfigured; just unpack and connect directly to your network. Each piece of hardware is carefully selected to perfectly fit the needs of an average business and its operations. All systems are optimized to easily integrate with conferencing software such as Skype, Zoom, Goto, Webex, and more so you can use programs and applications that best compliment your company’s needs. 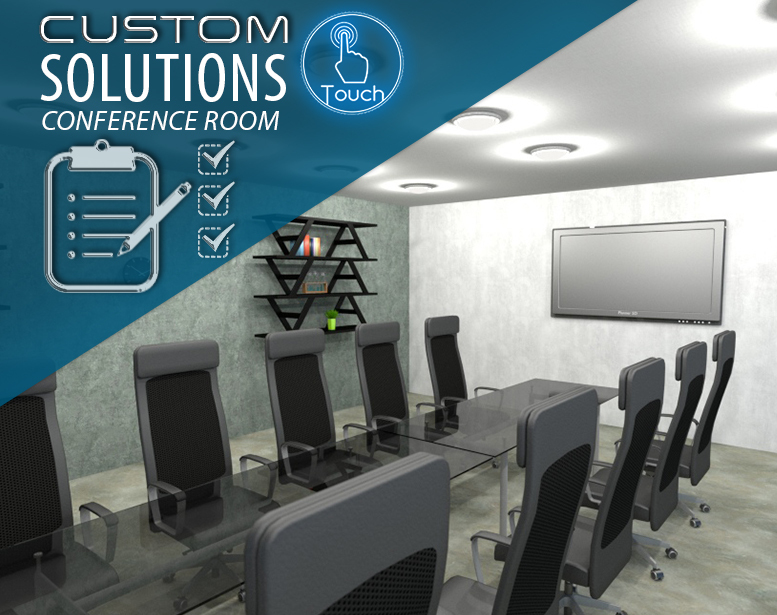 Take the guesswork out of selecting conference technology and let a proven company like 4TEC design and program your turnkey meeting space. **Each system offers a tilt mount, HD displays, HDMI inputs, VGA + audio inputs, autosense sources, a powerful mini PC, and wireless keyboard and mouse. 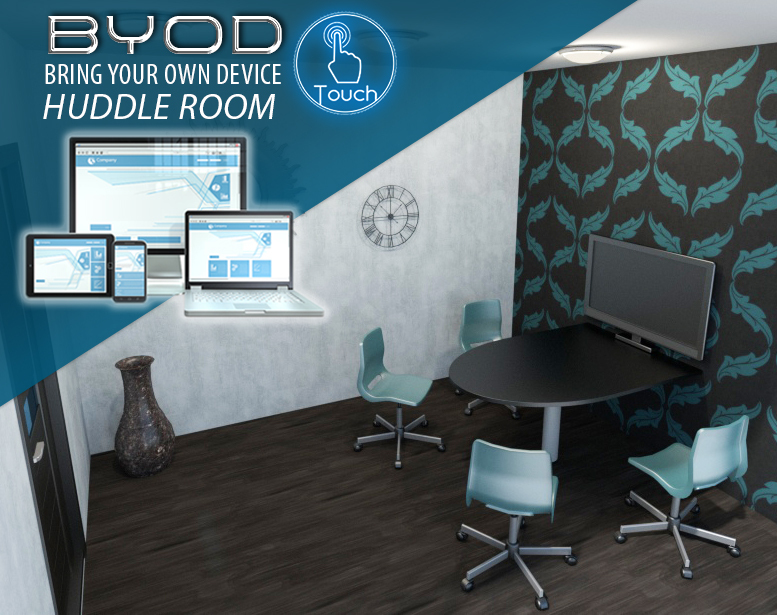 Perfect for the conferencing beginners, 4TEC's Bring Your Own Device Solution brings the basics to your huddle and collaboration meeting rooms. With its minimalistic approach to technology, it's easy to use for users of any varying technological skills. Bring your own computer, laptop, tablet, or mobile device to eliminate confusion, compatibility issues, and the need to share with another foreign device. 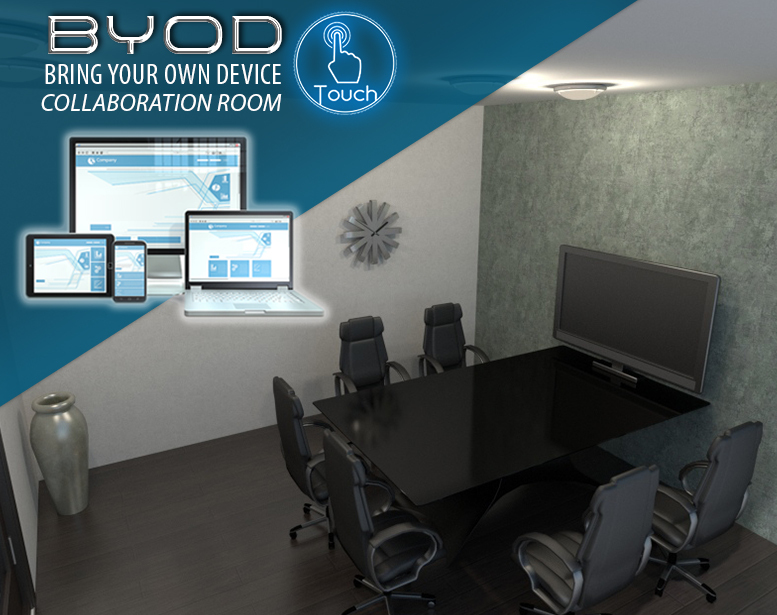 Make your meetings easier by going back to the basics with 4TEC's BYOD Solutions. Are you looking for a packaged deal but don’t see exactly what you’re looking for? 4TEC offers online, web, and onsite meetings for design alterations or custom design options. Don’t hesitate to ask for non-listed options, we at 4TEC pride ourselves on providing our customers with solutions that best fit their needs. We look forward to working with your team to turn conferencing concepts into unique systems with all the functions your business requires.